NEW CONSTRUCTION!! 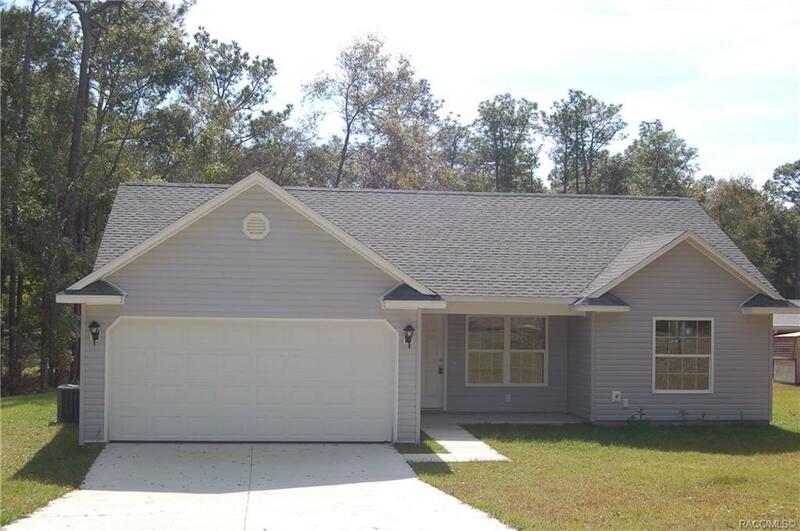 This home is perfect for a family, retiree and snow bird with 3 bedrooms and 2 full baths. With and open-split floor plan it gives both a gathering place for the family as well as privacy in the master suite. Kitchen appliances are finger print less stainless steel Frigidaire with factory warranties and has Granite counter tops in kitchen, both bathrooms with brushed nickel fixtures. Ceramic Tile in both bathrooms and kitchen. Plank flooring in main house and bedrooms with 50 year warranty. Exterior doors are fiberglass with composite jambs and brick moldings. Directions: S. Apopka Ave To Left On E Gurley St, Property On Right.